Over time, many items can become scratched, loose, or start to fade. At Pucci’s, we can repair and restore those special pieces of jewelry and give them new life. 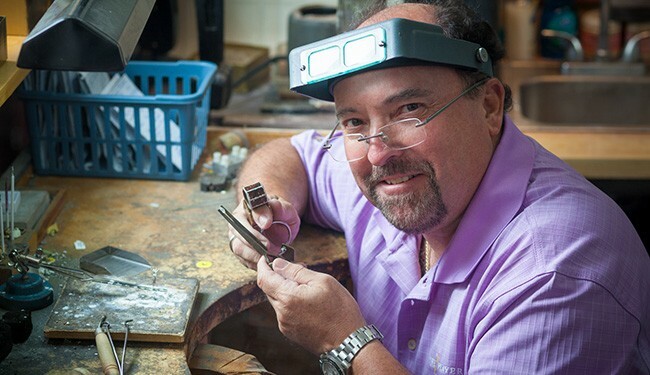 At Pucci’s we are proud to feature John Scully, our full-time, on-site jewelry expert. John has over 35 years experience – 20 of those years with Pucci’s – so he can repair and restore all jewelry – from modern classics to the most delicate family heirloom. Trust Pucci’s for the most reputable name in Worcester jewelry repair. © 2019 Pucci's Jewelers. All rights reserved.